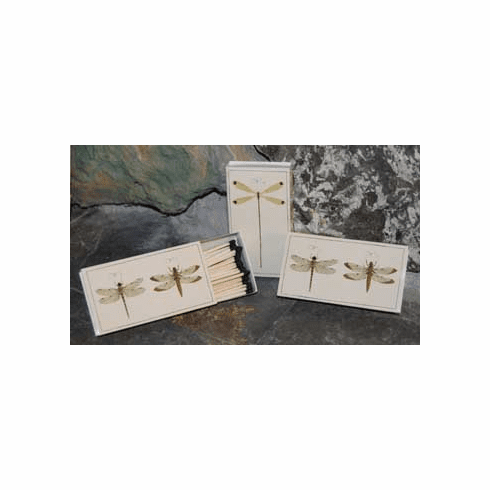 Designer Dragonfly Wooden Matches - Have these Dragonfly Matches around to light your candles, with their extra long length they go a long way. Appearing like mounted specimens, the box has a double dragonfly image on one side and a single on the other. Each box is 4-3/8" long and contains 50 black tipped matches, strike plate on the side of the box.